We are highly qualified independent building surveyors who can provide help and advice with regard to structural surveys, building surveys, independent valuations, property surveys, structural reports, engineers reports, specific defects report, home buyers reports or any other property matters. If you are experiencing any issues with overgrown trees in your property or nearby then please free phone 0800 298 5424 for a friendly chat with one of our surveyors. Trees live and breathe (in a fashion) and as such require water as they grow. Like anything if they are not getting enough water they will look for water naturally. This can be a problem when a property is close by as the drawing out of water from the ground can affect it and cause settlement. Equally the root forcing its way into an area can cause movement and what people don't realise is that a tree which is cut down still can cause problems as it can cause heave in a property as the moisture in the ground which is used to being taken away by the tree is no longer taken away. All of these terms, settlement, movement and heave are well known and seem to have almost a paranoia about them. This we would say is for several reasons. The first is of course that they can cause damage to the property. 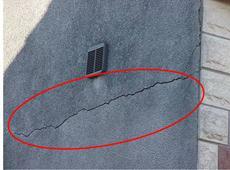 Living in your house, home or business when there are cracks appearing is not a good way to live. 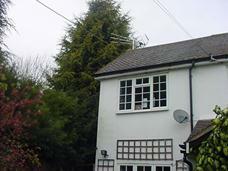 Secondly it can cause major upheaval as works to repair the property are carried out. Sometimes you will need to de-camp the building altogether, other times not use various areas while work is carried out. 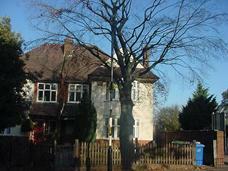 It affects the insurability of a property as trees close by tend to increase premiums. Close by meaning whatever the insurance company want it to mean; we are not joking about this as over the years the distance that the insurance companies are prepared to put up with trees being near the property has gradually got less and less, interesting when the tree has stayed the same. Probably for most people the main problem they will have after the tree problem has been resolved is that having structural work carried out affects the value of the property. A good way of explaining this is if you have two houses that are identical in every way including price and location, if you are advised that one has been underpinned and that the other one hasn't, in most cases people will purchase the property which hasn't been underpinned. Even with a ten or fifteen per cent discount most people would still purchase a property that hasn't been underpinned. In fact many people would never purchase a property that has been underpinned. It is only when you are looking at twenty to thirty percent reduction in value that people will start to have an interest in purchasing the property that has been underpinned. All of this caused because you have a tree near to your property. We talked about trees being able to cause movement, we must say that trees are not to blame for all movement. There are many other reasons for movement, settlement and heave such as poor foundations and poor building workmanship, alterations and adaptions being carried out that haven't considered properly the weights that they will be holding, leaking drains, rotten timbers (particularly in older style timber frame properties). However we would add that usually we find trees do get the blame. 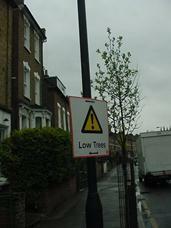 We have come across tree problems where neighbouring trees have grown so large that they block light out from neighbours properties. 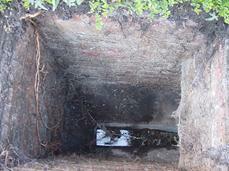 The roots of trees can affect the drainage system. The only way to investigate this is to have a close circuit TV camera inspection. 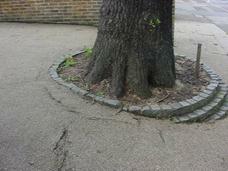 If not properly maintained trees can cause damage to your property. Over the years we have seen insurance companies deal with trees we would say in very different ways. Many, many years ago (about thirty years plus) as far as we can remember insurance companies were not overly concerned about how close trees were to properties. However in recent years we are aware that insurance companies have specialist sections where forms ask you to advise how close trees are to your property (if you have not seen this section of the insurance form you probably skipped it or missed it or filled it out automatically). Most insurance companies are particularly concerned about trees within five metres of a property although many still have a ten metre rule where trees need to be further than ten metres away from a property before they are concerned. 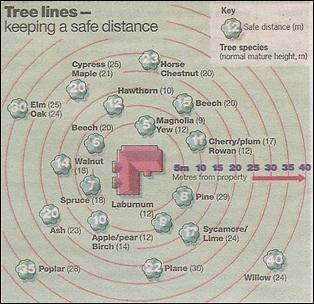 This is interesting because the distance a tree is away from a property is not just the depending factor, it also needs to be taken into consideration what type of tree and what part of its growing cycle it is in. 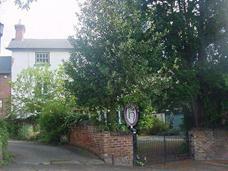 Trees close by to a property generally add to the premium. We would always recommend anyone buying a new property to speak to their insurance company before they commit to purchasing the property to see if the surrounding trees will cause any problems. 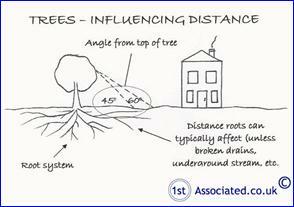 Influencing distance is given to the term that trees will affect the property. We would add that identifying whether a tree is influencing the building is not exact science and is not as simple as looking at the type of tree, you also need to be aware of what part of its growing span it is in as like us it grows gradually then vigorously in its youth and then slows down. 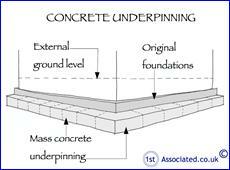 Also you need to have been able to look at the building and study it to see if there have been any defects caused. There may be a reason that the tree has moved root wise towards to the building, for example a leaking drain or a leaking water supply pipe. It may be as simple as there was a rock in the way of it growing the other way so its root system has gone towards the house or even we have come across in one instance an underground wall that limited its growth in one direction. We are in danger of insulting all tree surgeons but generally we have found that there is a different approach from an arboriculturalist than there is from a tree surgeon who are generally very keen to cut everything down that they see. Where there are some trees that are close to your property or there are a lot of trees in the immediate vicinity we would recommend an arboriculturalist report. 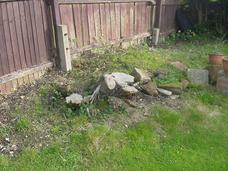 They can offer a five, ten or twenty year plan as to how you should maintain the different trees. At the end of the day it shouldn't be forgotten that no matter how large a tree is, it still needs maintenance. We say no matter how large the tree is as in our experience interestingly it is the larger trees that tend to be forgotten about and not maintained. 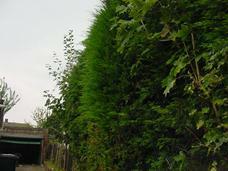 If common sense is used and trees and shrubs are not allowed to overgrow the property you should not have any problems. 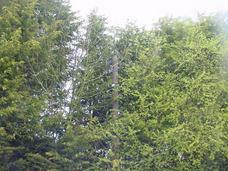 Leylandii for example, if not regularly maintained can overgrow and then become difficult to cut down. 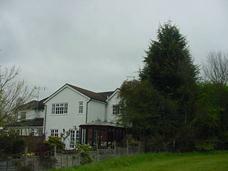 There have been many thousands of cases of neighbour disputes over leylandii trees in particular which are seen as light depriving hedges. Many of these disputes have ended up in court and even violence! 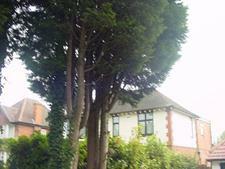 Therefore if you don't want to upset your neighbours we would recommend that you regularly trim your leylandii! Equally we would not recommend the removal of trees without specialist advice, as this could damage the dynamics of the soil in the area and the water table level. 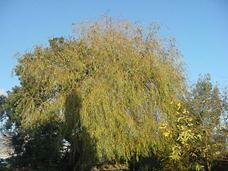 It is generally known where there is a willow tree that there is water of some sort. In this case there was an underground stream in the area and this is typically what a willow tree would feed off. The tree is not on my land – whose responsibility is it? Let's start this question by answering the easy part first, if the tree isn't on your land then it is down to whoevers land it is on to maintain it. 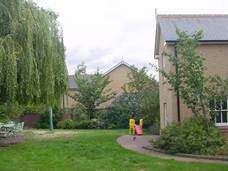 This is fairly easy where it is Local Authority land, say to the front of the property or in a green space. 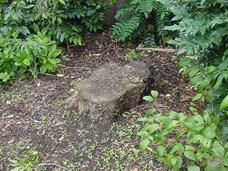 Trees generally such as this are not close enough to your property to affect it although we have come across some instances, in which case we would remind you now to make a reminder to prompt yourself to ring up the Local Authority and check what maintenance they are carrying out this year and when and what they intend to do in future years. We have come across a spate of problems with Local Authority trees particularly in the London area where they are close enough to affect buildings, particularly Victorian properties that don't tend to have a foundation on the front bays; by bays we mean front windows. Probably the most difficult scenario to deal with is where a tree is on a neighbour's property (as you always want to get on with a neighbour - please see our website help and disputes hell if you want to see how difficult it can be if you fall out with your neighbour) and the tree in question sits in your neighbours garden but also spreads its branches and leaves and other fruit that it bears over your side of the property and is in influencing distance of your property. We have recently dealt with a case where we looked at the property many years ago where next door have just refused to carry out any maintenance now causing cracking to the property. The owner has tried following our best advice which is to have a ‘cup of tea meeting' with the owners and to come to some sort of friendly agreement with regard to how to deal with the tree. We certainly wouldn't recommend cutting off branches on your side without a ‘cup of tea' meeting with next door regardless of whether you have a legal right to do it or not. You may need the back up of a Surveyors report which we would be more than happy to do to help you out with your situation or an Arboriculturalist report advising how the trees are affecting your property. We can't over emphasise the importance of having ‘cups of tea meetings' with your neighbours in relation to any problem, particularly where there is a tree involved as it is one of those unusual things that both you and your neighbour have to look at and may share in whatever way. Whether it is in their garden or in your garden, you may have to share the light it allows through, you may have to share the leaves, etc it puts into the gutters and downpipes and blocking the drains. You will also need to share a best way forward. It is no good saying that just because a tree is in a neighbour's garden you don't have any responsibility for it. Whilst legally this may be true it is often far better to have a cup of tea meeting and treat the trees almost as if they are your own. We feel it is better to contribute to trees being trimmed, lopped, pruned or being cut down rather than sitting there stubbornly refusing to do anything as ultimately you will of course have the benefit of any works to the trees that takes place. Why we recommend you have an Independent Building Survey? If you are moving house or having any property issues (with trees or anything else property related) then an independent Surveyor can help provide a comprehensive survey report on a building whether that be residential or commercial. 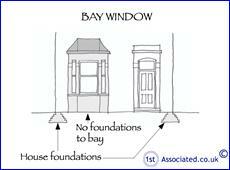 All our surveyors are independent meaning they are not tied to any bank, building society or estate agent. When they are working for you they will only have your best interests at heart. We feel our surveys are quite unique, as they are written to your level of knowledge. The surveys include photos and sketches and definitions. The survey will also include an action required section and an estimate of costs in the executive summary. We are more than happy to meet you at the property whilst carrying out the survey to discuss any specific issues you may have or have a general chat about what we have found at the end of the survey. All things property related interest us greatly as surveyors and we hope this reflects in the detail we go into with our building surveys. We use circles and ovals on our photos and sketches to highlight certain areas to you.